A fascinating look at the growing field of Jewish studies in China, and the author’s experience lecturing at the Glazer Institute of Jewish Studies in the ancient capital city of Kaifeng. The Confucian ideal, parallel to the Jewish precept of “kevod ha-moreh,” is alive and well today. Unlike the consumerist approach to education in the United States, where students demand attractively presented products from their teachers, students in China feel happy to receive the pearls of wisdom that issue from their teachers’ mouths. At times, this leads to a certain passivity in the classroom on the students’ part. But the overall effect, especially for a short-term visitor from America, is wondrous. Of course, the degree of open Talmudic discourse between teacher and students is missing in China, and that needs to change. Nonetheless, the point about the American “consumerist” approach to education is spot-on. Today’s China Readings May 24, 2012 | Sinocism. On his excellent Sinocism blog, the thoughtful and prolific Bill Bishop examines whether China Central Television‘s (CCTV) talk show host is an anti-Semite, a subject broached by the Shanghaiist editorial staff. While he reaches no conclusion either way, Bishop, whom I do not believe is a member of the Tribe, approaches the topic with tact and care. Is China in a Spiritual Crisis? An interesting article in the BBC Magazine today talks about the matter of the growing number of Chinese who are turning to faith. The story echoes many points I have made here, so it is worth quoting at length. What must unsettle the authorities most is the reason why so many are turning to the churches. I heard people talking again and again of a “spiritual crisis” in China – a phrase that has even been used by the Premier Wen Jiao Bao. The old have seen the old certainties of Marxism-Leninism transmute into the most visceral capitalist society on earth. For the young, in the stampede to get rich, trust in institutions, between individuals, between the generations, is breaking down. As one of China’s most eminent philosophers of religion – Professor He Guanghu, at Renmin University in Beijing put it to me: “The worship of Mammon… has become many people’s life purpose. via BBC News – Christians in China: Is the country in spiritual crisis?. I cannot disagree. What it means, though, is that the Party is going to have to come to an accommodation with religion in the same way it did with capital. What the story tactfully avoided was telltale stories about the slow disintegration of ethics and morality in China. While those would have been illustrative and entertaining, such apocrypha merely serve to remind us that ethical rot and moral decline are not limited to a single society, but are, indeed, pervasive. I wrote a blog post over at Silicon Hutong earlier this week (“The Company Code: Morality, China, and Facebook“) that examined the moral issue around Facebook entering China. While I wrote the post for a secular audience, issues of Torah and Halakah were swimming in my head. It was one of the most difficult posts I have written in seven years of blogging. One of the issues I wanted to cover, but in the end removed, was the question of assent. When Hashem gave the Torah to Bais Yisrael at Har Sinai, He did not give the Torah until the entire people had confirmed that they would accept the Law (Parshat Yitro). I claim neither Torah nor legal scholarship, but what that implies to me is that a law, a commandment, or a moral code cannot be made binding on anyone – even by the Almighty Himself – unless that person agrees to take that law upon himself. As troubled as we may be about the potential for Facebook to conduct itself in China in a way that does not meet our approval, we have to ask ourselves whether we can hold the company to a moral code to which it has not formally subscribed. Indeed, I would question whether we can hold the company accountable to a moral code that has not been explicitly spelled out for the people in the company with ultimate decision power: the company leadership and its board of directors. There are those who would suggest that a common sense of right and wrong should be enough to tell a company what it should and should not do. The history of the corporation, from the South Seas Bubble to the Global Financial Crisis, belies such assumptions. Leaving aside for a moment whether a company can, in fact, be held accountable for moral transgressions, we must recognize that a corporation itself may posses legal personhood, but it does not innately posses a moral compass, or a sense of right or wrong. There are others who might suggest that merely by operating in the context of a nation or culture, a company gives its implicit assent to conform to the moral codes of that society. In today’s global and multicultural business operating environment, however, it is often impossible for a well-meaning company to identify a prevailing moral code in a single country like the United States, and infinitely more difficult when doing so across national boundaries. Many companies, particularly small- and medium-sized businesses, that operate in accordance with set moral standards. Salesforce.com, In-and-Out Burger, and Google are among the most prominent examples. What each of these hold in common is that they take the time to spell out the moral strictures under which they will do business, and they extend those principles into the very core of the company through everything from operating manuals to the behavior that is rewarded at bonus time. The solution is clear: it is not enough for us to simply expect (read “hope”) that a company will naturally operate ethically, nor to impose upon it a code of behavior ex post facto, but to articulate to each company at the outset a requirement that they adopt, publish, and make a part of their operations a clear moral code, one that reaches into the very fabric of the organization. In this, you have not only assent to a code, but collective ownership of and accountability for each aspect of those behavioral guidelines. As outsiders, then, before we can criticize a company for its immoral behavior, we must first make clear that we expect it to frame what constitutes right and wrong (beyond simply “obey the law,”), or make clear that if they do not, we will do so for them, and then, if they do not set their own standards, we must make clear the code by which we expect them to operate. China hands even the most grizzled conservative an opportunity to contemplate our growing need to be better custodians of the planet. Along those lines, Worldchanging did an interesting interview with Jonathan Watts, author of the recent bestseller When a Billion Chinese Jump. Naturally, the topic of sustainability came up, and Watts’ comments are interesting, especially toward the end. Which got me thinking (being that I live in China but I am from a country that is still skittish about making any major commitments to the environment), perhaps it is time for non-Chinese to look into our philosophical, cultural, and religious roots for answers to why we might need to change our behavior toward the planet. Those of you who know me understand I am nobody’s idea of a tree-hugger. But there is so much sound and fury around climate – often pitting the eco-zealots against the self-interested – that I am starting to think that it is time to go back to a more fundamental source for some perspective in the debate. Whatever the failings of the system of political economy that bears his name, in calling religion “the opiate of the masses,” Karl Marx has endeared himself to a century of religious skeptics. 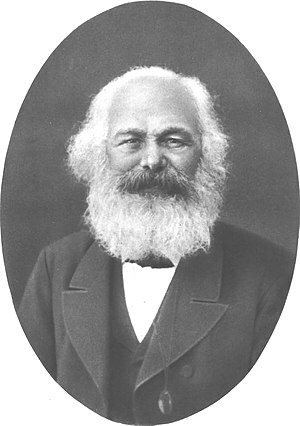 Religion, Marx tells us, is a means used by the upper classes to keep down the proletariat. And in rejecting his own religious background in the quest for a reason-based ethos, he is the prototypical secular humanist. Even a cursory study of Marx’s writings on the topic reveals his incomplete understanding of its social functions. This is unsurprising: Marx was a political economist, not a theologian or a sociologist. In this, he saw religion as the Second Estate, a political and economic force rather than a moral one. He was also cynically disingenuous, if not hypocritical, in his condemnation of religion. Marx’s writings, The Communist Manifesto in particular, do not so much eliminate religion as substitute a political credo and doctrine for established faiths. This paleo-humanist Cult of the Proletariat took on the political and economic functions of religion and was no less (and I would argue even more) focused on anesthetizing the masses than even the most organized of faiths. Yet even if we ascribe to Mr. Marx the purest of motives, we must concede that at best he failed to understand the inherent weakness of a rationalist ethos once it needed to guide the day-to-day lives of the proletariat. He seemed to reject out-of-hand the need for a moral code, much less one that was more than a mere human construct. As a secular humanist Marx believed – overoptimistically, as it turned out, that man is a moral beast, in need of no code to guide his way. History and human nature beg to differ. The result for China has been the emergence of an Amoral Oligarchy, a nation where self-interest prevails and where material success comes upon the rejection of any residual behavioral strictures. For many of those who have attained the pinnacle of success, that is enough. These people are particularly vulnerable to quack religions and cults of the variety that invite demagogues and exploitation. And therein lies danger. Over the next ten years, there will inevitably be efforts to attack the symptoms of moral decay: prosecuting the corrupt, enhancing law enforcement, and propaganda campaigns that call for a more genteel society. The best indicator of whether China’s leaders comprehend the cause of the problem will be the actions and leadership of the State Administration for Religious Affairs in the wake of Xi Jinping‘s ascent to the Presidency. For what must precede a truly Harmonious Society is a Moral Society, wherein the first line of behavioral enforcement – the individual – successfully takes from the police the greater burden over personal behavior. As Marx failed to learn, states must be prepared to cleave the spiritual life of the nation from its political or economic life. The answer is either a return to faith or the introduction of a supra-human code of behavior that can guide both man and state.